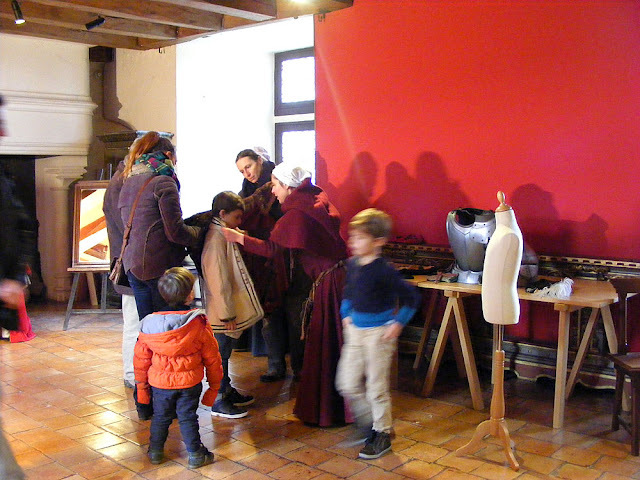 Over the Christmas period the Chateau of Langeais was offering medieval games and dressing up for kids. 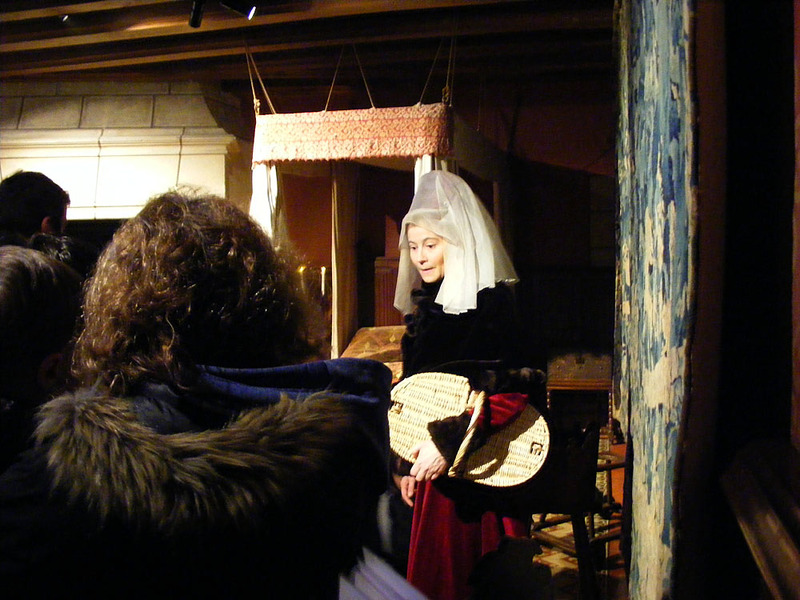 A costumed performer leads visiting kids in a game. The game involved a song where the kids had to find birds, owls, rabbits and squirrels on the tapestry, then get a squirrel into the basket. Dressing up in medieval costume. The boy is wearing a linen shirt under a padded woollen jacket. His parents are handling a fur lined jacket and exclaiming at how heavy it is. Wearing historical costume is a great aid to the imagination and a learning experience leading to lots of insights into life in the past. I love the way that kids are encouraged in France, to experience and learn these things.... and I include the Musée oop t'hill in that, too... I wish such things had been available when I was young... and I wish they do things like this now... for retirees! !